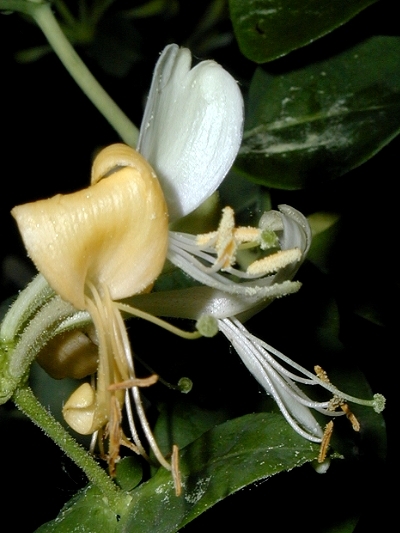 Description: Honeysuckle is a climbing plant. It can reach a height of 20 feet. It is found in forests and in hedges. The plants build a cluster of long, red, tube-shaped flowers. The petals are red outside and white inside. After pollination the flowers turn yellow. It blooms from June to September.